There are tons of bears in Berlin. No, not the wild variety but since the bear is a part of the coat of arms of Berlin as well as a symbol of the city itself there are tons of them. In all kinds of shapes, forms and sizes. There are bears on souvenirs, bears on graffiti, bears on t-shirts and apparently there’s bears on chairs as well. 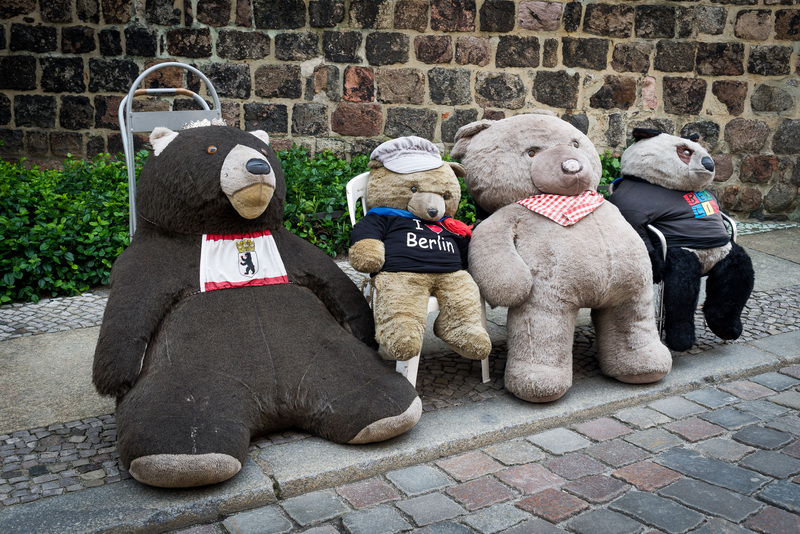 This quartet of rather tired-looking bears were taking a break outside the Nikolaikirche.